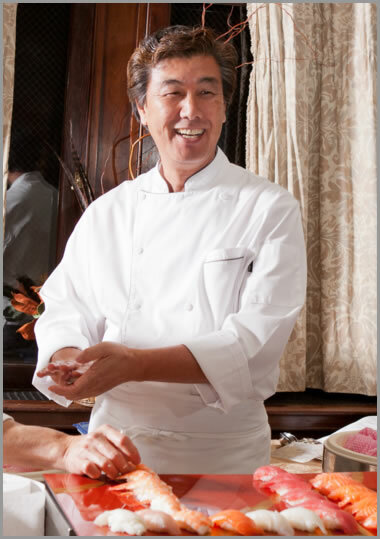 With more than 30 years of experiences in the restaurant and hotel industries and his lifelong passion for the quality and culinary inspiration, Owner and Executive Chef Osaki founded M Square Catering in the greater Chicago area in 2000. The Premium Ingredients used in our Sushi and Japanese cuisines are carefully selected by Chef Osaki. His long years of relationships he built with luxurious and prestigious hotels, private/country clubs, and other organizations have led him and M Square to receive numerous appraisals, compliments, and endorsements from both American and Japanese clients, and our Authenticity is highly valued. Chef Osaki continues to strive to pursue the ultimate in food service, providing “authentic taste” with “premium ingredients”, and “flexible” and “on-time” services to our clients. Chef Osaki guarantees that we, M Square as a team, will be able to provide any client with the most memorable moment with complete satisfaction.